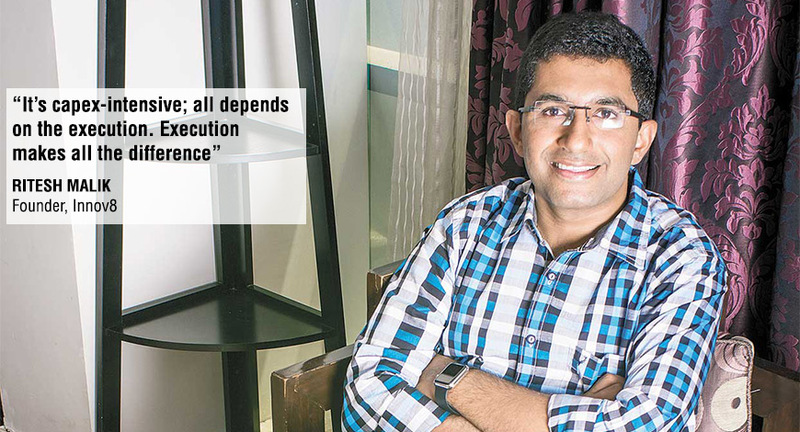 Ashish Bhatia, co-founder of IT company Appworks, is a member of a new and rapidly growing club of Indian entrepreneurs: he and his company operate out of co-working spaces. The term refers to office spaces shared by freelancers, entrepreneurs, startups and companies who find the option more attractive than owning or leasing their own office space. Bhatia says: “We had rented a office space on Sohna road, but within six months, we realised that it was not what we had bargained for. Startups work in a VUCA world — volatile, uncertain, complex and ambiguous.” Bhatia is convinced that the decision to give up the rented office was right. According to a Nasscom startup report, co-working space is a flexible, ready-to-use, plug-and-play office-sharing arrangement where people from different professional backgrounds, interests and companies work in the same place together. Rightly termed as today’s physical LinkedIn, people operating in these spaces describe their way of working as a ‘movement’, which comes with a vast range of possibilities. Companies operating out of shared working spaces have everything on a platter — from eco friendly and homely environment, to disciplined co-workers and professional cabins. With membership fees ranging from Rs 2,000 to Rs 8,000 per month, co-working spaces work out cheaper than renting individual office spaces. For a tech startup, the cost of setting up an office in Mumbai, Delhi or Bangalore ranges from $25,359 to $30,081 per annum. Co-working spaces, on the other hand, can help these startups save anywhere between 72 per cent and 76 per cent, says Samantak Das, national director of Research at property consultant Knight Frank India. “These spaces offer desks at cheaper rentals. Some even allow a rent-free period to tenants apart from utilities and an office-like look and feel”, says Anuj Puri, chairman and country head, Jones Lang LaSalle India, a global real estate services firm. Providers of co-working spaces are redefining the rules of commercial real estate by providing users with — a) the smallest denomination of office inventory; b) young and energetic spaces with more activity-based settings; c) flexible hours — 1 hour to 11 months and more, and; d) cost effective rates. “Co-working spaces will evolve into a new real estate asset class given the rise in entrepreneurship, sharing economy, and the need to be part of a community,” says Rajiv Raichand, director, Virtuous Retail, the retail development arm of The Xander Group. Renting out space to a number of people for varied periods of time may not look like a very attractive idea to landlords who prefer tenants with long leases to ensure a steady income from rentals. However, lately several owners are renting out their properties as co-working spaces, to avoid high costs of traditional tenant accusation, which is around 15 per cent of rent, and unoccupancy. Currently, 17 per cent of India’s Grade A office space is lying vacant; the unoccupancy rate in Delhi is 27 per cent and 20 per cent in Mumbai. It a win-win for both the landlord and the space operator as they are able to sell more memberships than what the actual maximum physical capacity allows in the context of traditional tenancy, leading to higher revenue per square foot of floor space. Besides enabling hot desking spaces, the serviced office operator also hedges by incorporating private rooms as they help in generating good cash flow for the business until the community grows significantly. Companies offering an online marketplace for users to list, browse and rent co-working spaces are also on the rise. Qdesq, one of the largest workplace platform, helps discover and book work spaces. It partners with office owners and business centres to monetise their unused or vacant office spaces. Technology plays a critical role in inducing operational efficiency and automation in transaction processes, thus reducing payroll costs and other costs involved. Co-working spaces have seen a spurt in activity since 2015, with a total of about 60 companies emerging in this subsector. This year so far, four companies namely BHIVE Workspace, SpaceMunk, WiredHub and Qdesq have secured funding. Delhi-based Awfis is currently the most funded ($10 million) player in this sector. “A lot of developers are exploring it and there have been strategic tie ups with big names. More than the space, its about the technology and how well these establishments connect the community. It is a full-fledged business concept; real estate firms want to run this as a business,” says Rajat Gupta, managing director, Advisory and Transaction, CBRE South Asia. Co-working space major Awfis works on the market aggregate model; it enters into partnership with the landlord or straight leases with price differentiation in cities. “The pricing varies for each city and centre, owing to the difference in rentals, occupancy levels, etc. So a Connaught Place centre is differently priced from a centre in South Ex”, says Anil Ramani, founder of Awfis. Delhi-based bootstrapped startup 91Springboard that commenced operations in 2013 with its first hub in Delhi focuses on membership fees mostly. “We do have some partnered hubs. For example, the first hub we set up in Bangalore was a tie-up with the Karnataka government, which is subsidising the costs for startups that fit its criteria. Similarly, in Mumbai, we setup a hub in tie-up with Barclays that focuses on fintech. That said, the model still focuses on community and membership,” says Pranay Gupta, founder, 91Springboard, which has nine hubs in places such as Delhi, Mumbai, Noida, and Bangalore. Co-working spaces are partnering with landlords, high net worth individuals, real estate companies and NRIs to co-invest in their expansion plans, leading to excellent returns on their investments. “This particular approach has helped BHIVE become one of the very few shared office providers that is profitable at unit level,” says Shesh Paplikar, founder and CEO, BHIVE, which is soon going to close another round of funding. Yatin Thakur, founder of CoworkIn, a self-funded company, operates on a collaborative approach; the company acts as a property manager for space owners, and work on the design and the operating model. 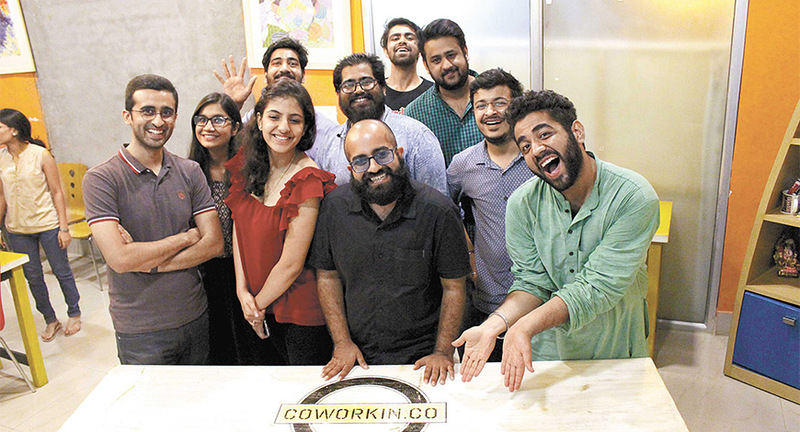 CoworkIn currently operates four properties in Delhi, and is adding new spaces every 45 days. It envisions 20 location by 2017. The break-even point is not same for all the centres. A number of factors contribute, such as location, proximity to public transport, seating capacity of the space, and interior decoration expenses, etc. However, an average breakeven may range from six to 12 months depending upon a space and its cost effectiveness. “It depends on the model you pick up. Many people put in a lot of money in fancy infra and hence the breakeven comes a little late,” says Gupta of 91Springboard, who started with his own property and was able to breakeven within three months. Partnerships are crucial for running a cost-effective business. A community is most effective when it brings in collaborative partners and coworkers. 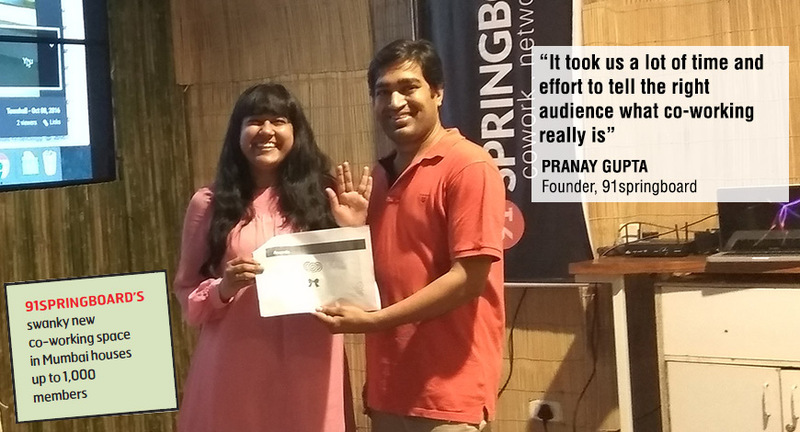 “Partners provide services at a preferred price, while coworkers support each other in keeping the operational costs low,” says Thakur of CoworkIn. Every business comes with its own set of risks. These young entrepreneurs consider the co-working-space business as no different. Since a lot of capex is involved, execution becomes the most important. “If you do not understand the nuances of running an office space and the needs of the community in great depth, it will be extremely difficult to run a coworking-space business successfully and would become a risky affair,” according to Paplikar of BHIVE, who with expertise in operations, hospitality and technology has driven efficiency and a retention rate of 98 per cent. According to a recent survey, never before have so many people across the globe searched for co-working spaces on Google. India is among the dozen countries where the demand for coworking spaces will grow to more than 10,000 seats in 2016. The anytime, anywhere network has disrupted India’s office space dynamics. That said, to keep thriving the co-working firms need to come up with out-of-the-box offerings to stay appealing to the aspirational workforce.